Over the last five weeks I’ve developed a simple Python-based data visualisation pipeline for my blog stats culminating in last week’s basic Flask app. This week, I will further evolve that app by reorganising the code and adding templates and styling. This improved version will then be hosted on the same Digital Ocean instance coexisting with, but isolated from, the first by means of a second Docker container. $ docker build -t flaskapp2 . There are several other directions that could be explored from here. One useful one would be to replace the cloud mongolab database with a local redis store. However, I’m going to park the extended data visualisation with Docker exercise here for now. Apple’s increasing monopoly on the high-end of the market is creating a virtuous cycle that ensures they will own the high-end indefinitely. From an app perspective, new and updated apps launch first on iOS, which means people who care buy iPhones, which means future new and updated apps launch first on iOS. From a component perspective, Apple is increasingly the only manufacturer that can even afford to buy the best components, and they have massive scale which ensures they get first dibs on what is new. 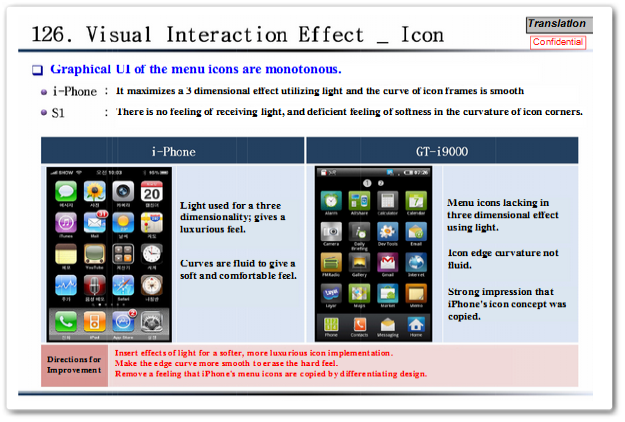 And Apple’s iPhone plans are clearly working. The company announced that 30% of iPhone sales last quarter come from Android switchers. It’s likely that many iPhone buyers were able to take advantage of various iPhone upgrade programs available from retailers – Apple’s program only launched last quarter as well – and score contract-free new iPhones for cheaper prices than they’d be otherwise used to. The OnePlus X goes even further in iPhone envy. It’s “a 5-inch phone that feels like it should be $500, but costs only $249” which is also “a shameless tribute to the design of older iPhones“. The Verge took a closer look. Mozilla is launching a $1million Open Source support program. So what’s the secret sauce behind this new coating? 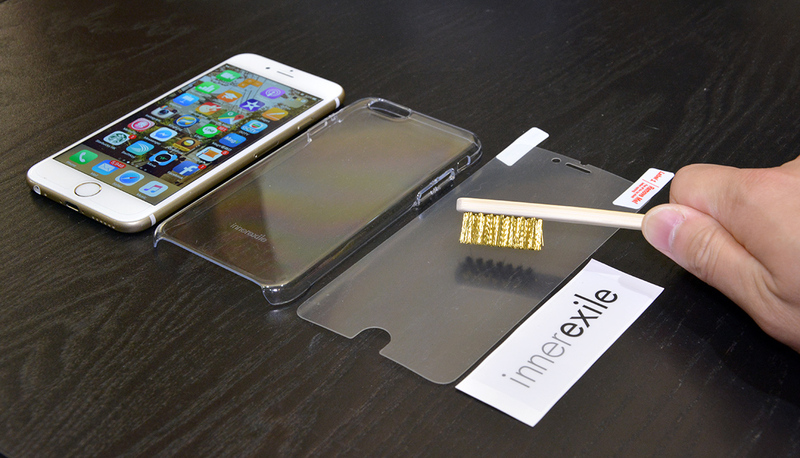 Well, it’s dotted with microcapsules that contain an adhesive-like liquid, and when damaged, the liquid will fill the void so quickly that you probably won’t even realize you’ve just scratched your case or screen protector. Meanwhile Chrome for Android has a new eight tab view. 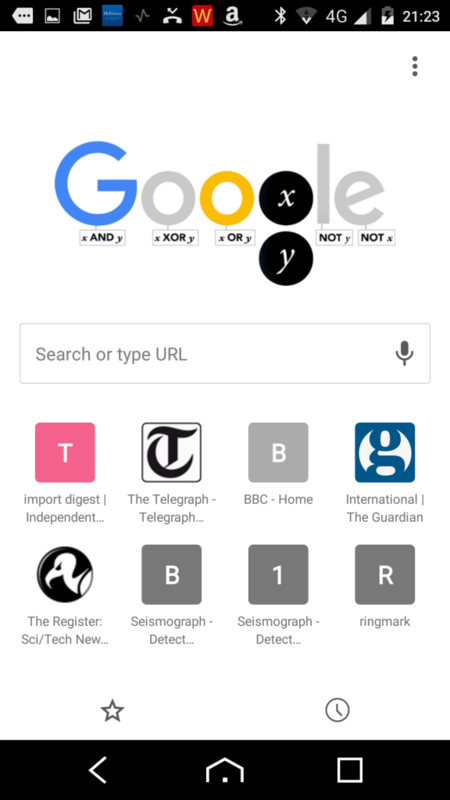 Here it is on my phone together with a still image from the George Boole Google Doodle. 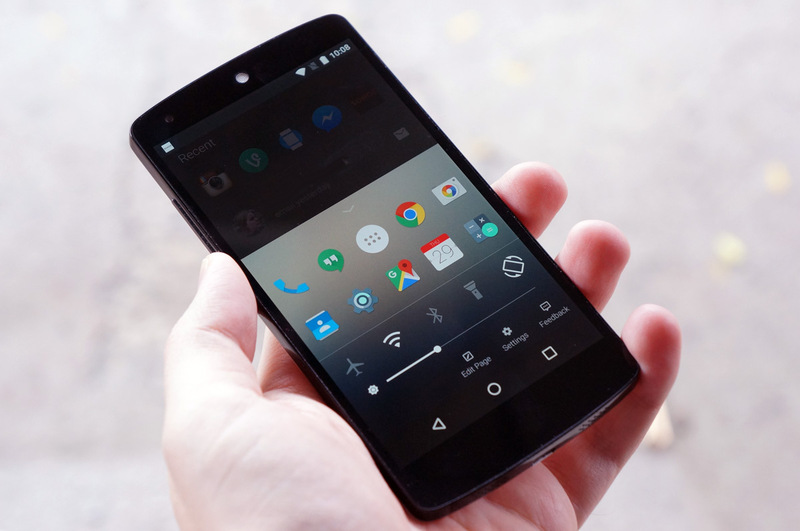 Microsoft have released an Android launcher called Arrow. It’s nice and clean but pretty basic. It doesn’t seem to be possible right now to extend the number of screens available. 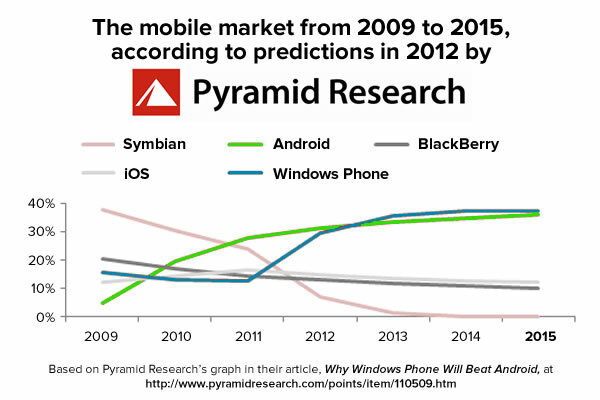 people don’t think so much about the operating system on their phone. But those who produce phones or sell phones or develop applications, they are very preoccupied with the operating system. 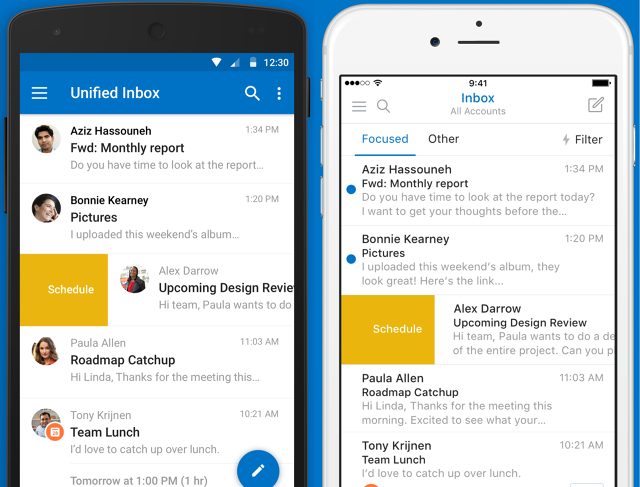 [Outlook] has almost 30 million users on smartphones and tablets, who use the app for 1.2 billion sessions a month, each 22 seconds long on average. Stats on mobile email market share are tough to come by, but that represents a huge jump from Acompli, which had fewer than 200,000 users before it morphed into Outlook. The company has continued with the strategy it started with the Acompli acquisition by buying the Sunrise smart calendar app and Wunderlist task manager. 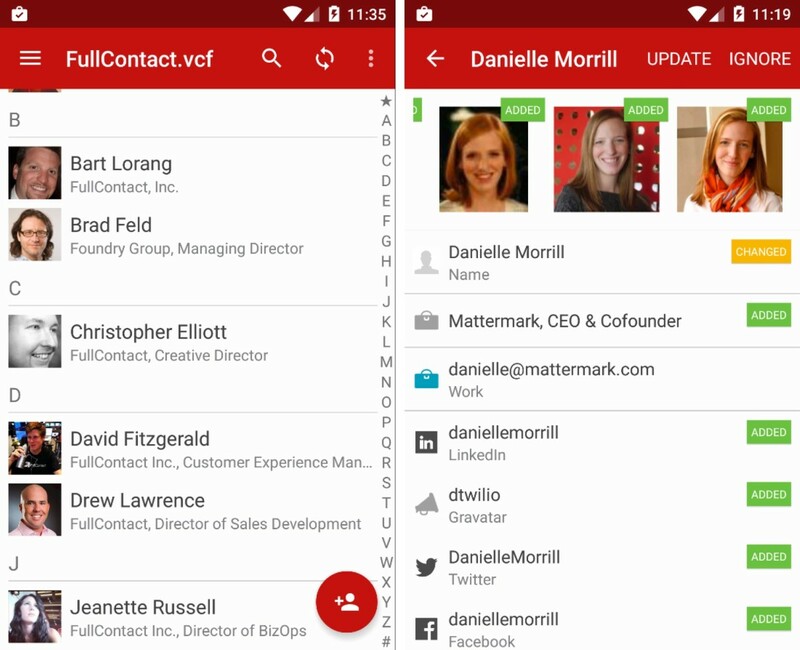 Smart address book proposition FullContact is now available for Android. “you can use the app to be notified when people change email address and other information, and update your records for them easily across all your connected address books”. Bulk SMS gateway API vendor Nexmo will power KLM’s integration with WeChat. Which reminds me, I looked at it exactly a year ago. Out of curiosity I just re-ran my “hello world” SMS sender Python script and it still works. Props are due. To use this script you need to register with Nexmo and get an API_KEY and API_SECRET. SOURCE and DEST are phone numbers. In this exclusive interview, Asatryan not only provides the formulas he relies on to help mobile apps optimize their entire user funnel, but the counterintuitive lessons and mistakes he’s learned on the job. Anyone who works on a mobile app in any capacity has something to gain from this clear-cut look at what drives true, meaningful growth. Bust unexpected sources of friction. Find opportunities for positive reinforcement. Find and focus on your best referral channels. Make referrals a valuable win-win. Don’t rely on standard social media sharing. Yes, humans can retrain over time, to learn new skills, in readiness for new occupations when their former employment has been displaced by automation. However, the speed of improvement of the capabilities of automation will increasingly exceed that of humans. Coupled with the general purpose nature of these capabilities, it means that, conceivably, from some time around 2040, very few humans will be able to find paid work. Serving to underline dw2’s point, Tesla S users are reporting their new autopilot feature is “learning fast“. Wearable developers are more likely than other IoT developers to be young (80% are under 35), female (9.7% vs 6.7%) and based in Asia (44%, almost as much as North America and Europe combined). 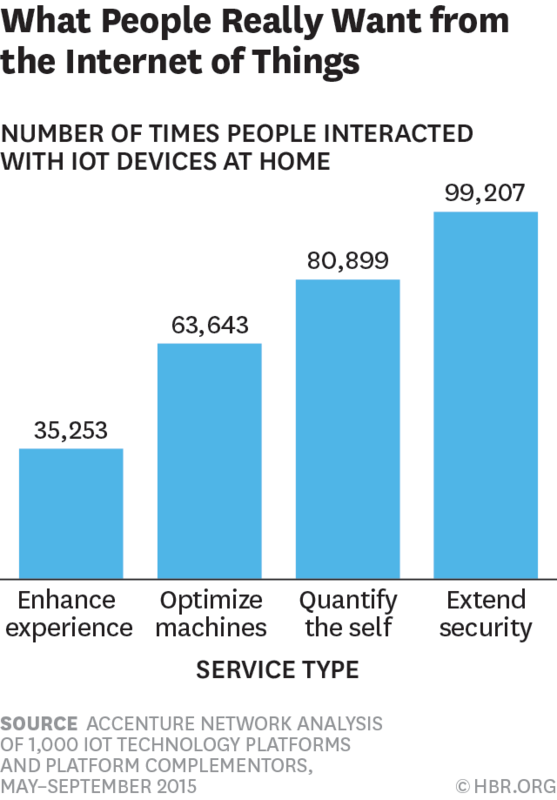 HBR on what typical consumers would like from the Internet of Things today. Security is top of the list of potential use cases and yet ironically IoT security remains problematic with issues ranging from a lack of unified architecture for device security patch updates to missing controls for enforcing privacy of sensitive IoT user data at the backend. The security holes in IoT need to be dealt with if we are to avoid catastrophic consequences given the scale increase in attack surface represented by having the “internet on things“. Getting confused between “sequential attack” and a SQL injection attack is an easy enough mistake to make for a firm outside the technology sector. But TalkTalk is a telco so customers are entitled to expect it to have a clearer grasp of standard infosec practices. Boards must become fluent in the language of cyber security to improve the way their companies deal with threats. When it comes to cyber security, when does ignorance become negligence? Google’s slapdown of Symantec over its sloppy practices on certificate issuing created a bit of a stir. Arstechnica see it as part of a broader clean-up campaign against lax Certificate Authorities. The Telegraph are reporting that consumer-oriented peer to peer encrypted communication propositions may be banned under the Investigatory Powers Bill. If true, this would have a profound impact on the likes of Silent Circle. In 20+ years of professional coding, I’ve never seen someone go from novice to full-fledged programmer in a matter of weeks, yet that seems to be what coding academies are promising, alongside instant employment, a salary big enough to afford a Tesla and the ability to change lives. 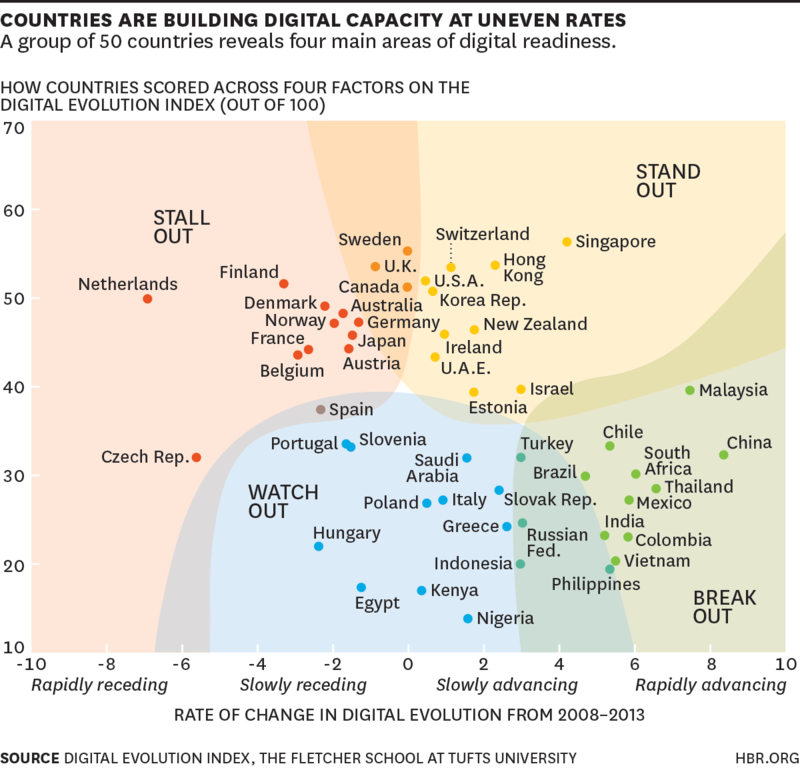 HBR on Europe’s other crisis namely a digital recession fuelled by a “glaring and growing digital gap as Europeans watch the U.S. and China take the lead in tech innovation“. To rebound Europe needs to invest in innovation capacity and develop a more risk-tolerant culture. Or face being also-rans behind the BRICS MINT cohort. NYT on how Greenland is “melting away”. The world’s largest offshore wind farm is to be built in the Irish Sea off the Cumbrian coast. You’ve heard of DevOps. This FirstRound post extols the virtues of Sales Ops. When done right they can make the difference between success and failure. Within that context of alliances, it ought to be a perfectly rational move to consider using contract staff to augment a permanent base. In fact it may even be essential to do so given that increasingly the best pros with the most up to date skills are only available through contract. 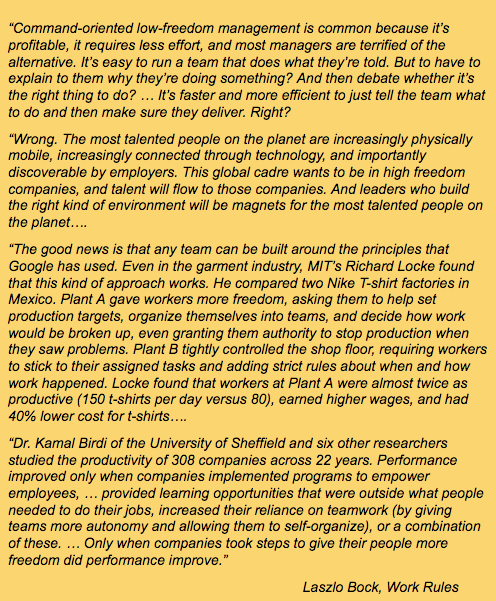 And of course extensive use of ‘staff-on-demand’ is also a hallmark of Exponential Organisations along with autonomy which will be expanded upon below. Nevertheless it remains relatively common to encounter some corporate discomfort at the thought of relying on contractors on ‘loyalty’ and total cost grounds. There is little doubt that discretionary effort by people who are empowered to give their best produces not just better morale but also better products and services. If James Bond actually worked in MI6 today, he’d spend a large amount of time behind a desk doing paperwork and making sure everything was properly cleared and authorized. TechInAsia on how smoking is “set to kill a third of young Chinese men“. Given that grim backdrop there seems a clear business opportunity for evangelising vaping there. So the next time you find yourself at an awkward Christmas party or wedding dance floor, wondering whether or not to get up and groove, just do it.